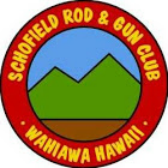 Members need to show their current SRGC membership card to validate they are active members, sign in to the log books, and read, understand, and follow the Range SOP for users. SRGC members will only be allowed to have two shooting guests on the range per day. Members will supervise their guests at all times and both members and guests must read, understand, and follow the Range SOP for users. Minors under the age of 18 must be supervised and must provide proof of firearms safety training. Minors 5 and under are not allowed on the range. Minors 6-12 must have 100% eyes on supervision by a parent or guardian. The supervising parent or guardian will not be allowed to shoot. If the yellow gate is closed contact info is on the placard for SRGC. Do not call range control for entry. Upon arriving at SR5 take notice whether the red flag is on the pole or not. If the red flag is not on the pole, do not drive down to the range. All firearms must be inspected and cased before they are removed from the range. Enter Schofield Barracks from Lyman Rd. Proceed on Kolekole Rd for approx. 1 mile SR5 is on the Left.